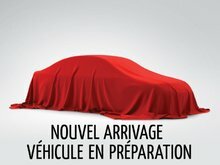 When in the market for a pre-owned vehicle in Laval, it can be difficult to find a model that's safe, reliable and fairly priced. That’s why at Vimont Toyota, we make sure that the pre-owned vehicles we offer our customers have been inspected in order to ensure high quality and affordability. We also offer plenty of financing solutions that make buying a pre-owned vehicle at Vimont Toyota more affordable than ever. Come in today and check out our pre-owned Toyota models. From pre-owned Corolla models to used RAV4 and Highlander sport utility vehicles, we have the pre-owned vehicle you need at Vimont Toyota in Laval. We also have a complete collection of pre-owned vehicles from other brands including Honda, Hyundai, Kia, Nissan, Mazda, Acura, Lexus and more. Regardless of your needs and your budget, you'll be sure to find your perfect pre-owned vehicle at Vimont Toyota on the North Shore of Montreal. Our team of sales representatives will take the time to listen to your needs when you visit us, and we will also make sure that we answer any and all questions you may have. At Vimont Toyota, we are committed to ensuring that every visit at our dealership is an experience worth repeating. Once you have found the perfect pre-owned vehicle for you and your family, our team of financial services experts will work with you to find the perfect financing solution for your needs. Vimont Toyota also offers a variety of flexible low-interest financing plans, including second and third chance credit solutions that will make sure you leave Vimont Toyota with the pre-owned vehicle of your dreams, regardless of your credit history. To learn more about Vimont Toyota’s collection of high-quality pre-owned vehicles, contact us today at (450) 668-2710, or online using our contact form. You can also book your test drive online, and even start your credit application.